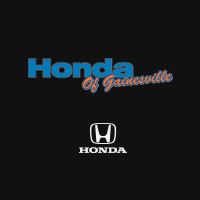 Learn More about Honda of Gainesville’s Discount Tire Program! 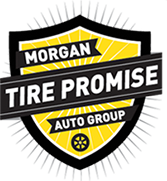 The Morgan Auto Group is your one-stop shop for all your tire needs. We carry all the top name brand tires in every size. Our wide variety of in stock tires allows us to meet your vehicles specifications at the lowest prices guaranteed. At The Morgan Auto Group, we are committed to our customer’s complete satisfaction and safety. That’s why we cover every new tire we sell against damage that would NOT be covered by the manufacturer’s warranty with our exclusive Road Hazard Tire Warranty at no additional charge. We protect your tires against a variety of hazards that would damage them under normal use. 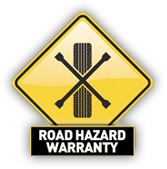 Our Road Hazard Tire Warranty backs every tire we sell. This exclusive warranty protects your tires against most things that would damage them under normal use. We will fix or replace your tires damaged by glass, wood, road debris, curb or pothole damage, and replace all non-repairable punctured tires. We promise to provide road hazard protection with the purchase of every tire. We promise to rotate your tires according to manufacturer’s specifications for as long as you own your tires at no charge. We promise to inspect your alignment and provide a written inspection report twice annually for as long as you own your tires at no charge. We promise to meet or beat ANY ADVERTISED special or we’ll refund you 150% of the difference. We promise to perform free 47 point written inspections on your vehicle annually at no cost to you. We promise to check your battery by performing a load-test while you wait for as long as you own your tires at no charge. We promise to provide you with maintenance reminders and service specials if you choose to receive them. We promise to provide you with quality repairs, friendly service and certified technicians using the latest in state of the art equipment to repair your vehicle. We promise to provide a complimentary car wash at every manufacturer’s scheduled service interval for as long as you own your tires at no charge.